With the rapid approach of International Forgiveness Week and Weekend of Perfect Peace (September 14 – 23, 2012), A Course In Miracles International today highlights a video presentation by the Master Teacher of A Course In Miracles, as highly recommended viewing for all who are genuinely determined to experience the incomparable joy and peace of true forgiveness. 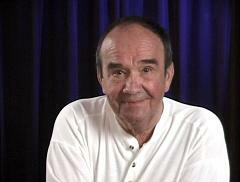 The video, available for viewing and download at the website, http://www.themasterteacher.tv, is entitled “What is Forgiveness?” and is part of the Illuminate Mind Training series of videos, a series which focuses on the lessons of the workbook of A Course In Miracles and offers an invitation to an immediate contact with the Singular Power of the Reality of Eternal Life, through the individual application of the psychology of self-responsibility and the practice of the art of forgiveness. To view or download a free copy of the video “What Is Forgiveness?” go to http://www.themasterteacher.tv/members/catalogue/mindtraining.htm and click the corresponding link in the list of titles. Free membership of the site is required. International Forgiveness Week and the Weekend of Perfect Peace will be observed worldwide on September 14 – 23, 2012. For the ten days, A Course In Miracles International will hold special celebration events at the Miracles Healing Center in Wisconsin Dells, WI and in affiliate centers around the world. For more information about all planned events, and how you can participate, visit http://www.forgivenessweek.org/events.php.